Always good to paraphrase Morrissey in a blog post title, I find. 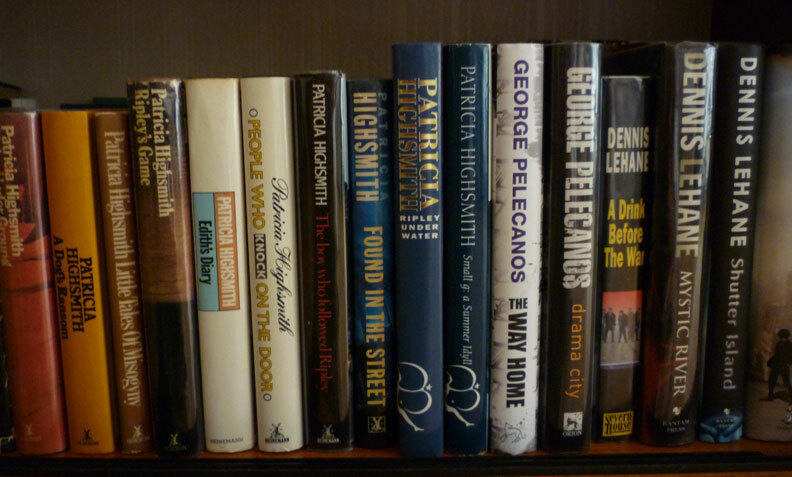 Something any book collector can't fail to notice is how your books look on the shelf. Whichever way you shelve your books – alphabetically by author, alphabetically by title (which, y'know, would just be weird and wrong, but anyway), grouped by author, grouped by author/date of publication (my preferred shelving system), randomly (geddouttahere) – chances are the formats of your books will vary noticeably, even if, like me, you're mostly collecting hardback first editions. 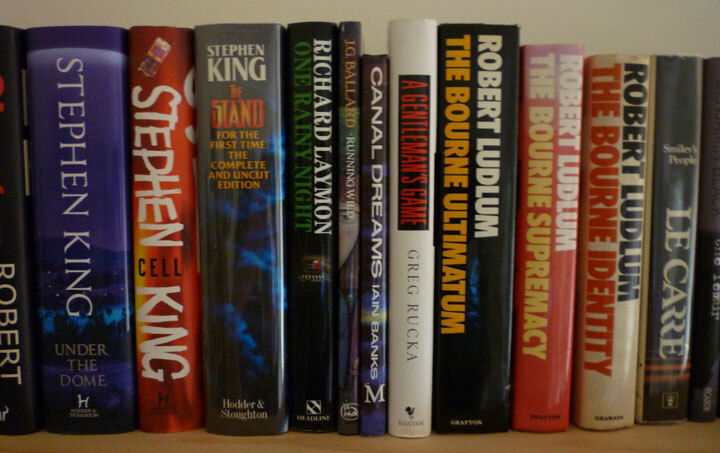 Basically, what I'm getting at here is, some books stand taller on the shelf than others. Now, this is probably a little confusing, as there are some American first editions mixed in with the British first editions, and sizes between the two counties vary. 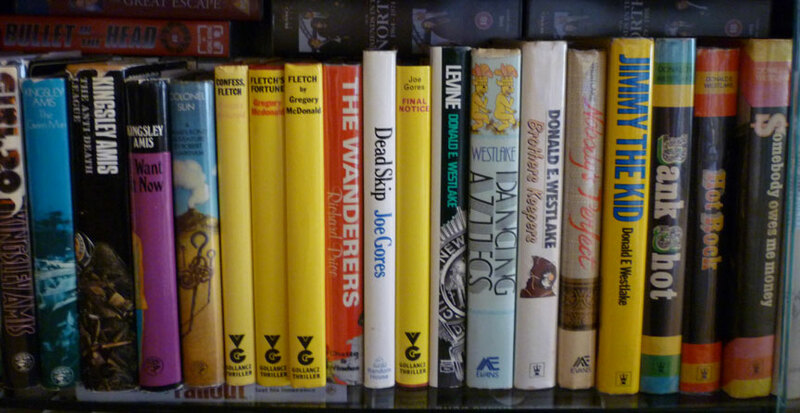 But generally speaking, the novels from the 1960s – those Kingsley Amis firsts on the left there – are usually quite small, around 71/2" (in fact the smallest hardbacks I own), while those from the 1970s – the various Fletches, Richard Price's The Wanderers – are more like 8" tall. 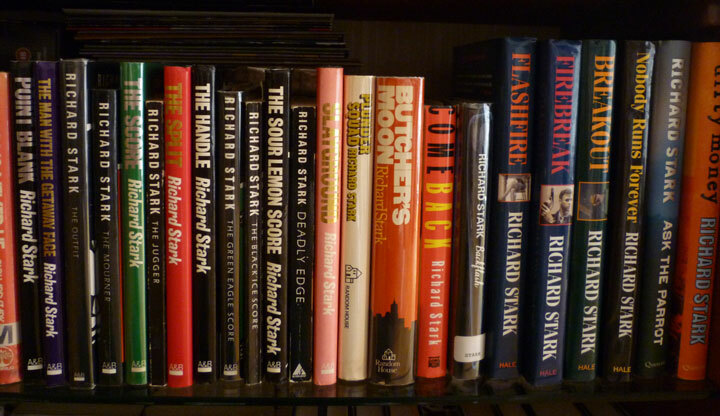 The Hodder editions of Westlake's novels are taller again, more like 81/2", and those are also from the '70s, but that size seems to have become more widely accepted in the 1980s. There are accepted terms for the size of books, but you'll notice I haven't been using them. That's because, essentially, they're no bloody help at all. Most first editions from the mid-20th century onwards fall within the category known as Octavo, or 8vo, which is any book from 73/4" up to 93/4". That's a whole two inches difference just within that one size. Some of the books I've mentioned here, like those '60s Amis novels, would, strictly speaking, fall within the next category down, Duodecimo, or 12mo, which is any book from 63/4" to 73/4" (the Amis ones are about 71/2"). But if you look on AbeBooks or other online listings, even a lot of booksellers on there have those Amis novels down as being Octavo, when they clearly don't belong in that category. Seems Octavo has become a catch-all term for pretty much any hardback book.